You’ve probably heard about the grumpiness of the Parisian waiters ? It makes it very special when you meet one who gives you a true smile and takes time to help you choose what you will enjoy the most. “I love my products, that’s why, and I want to give joy to people”. 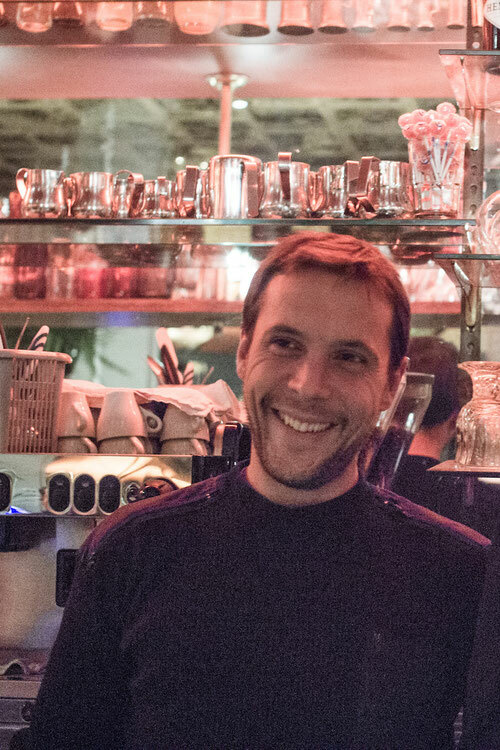 Christophe was a director in the restaurant industry when he decided to quit and build his own brasserie together with his best friend. “The first thing we did was to choose the products we love and to put fair prices on the menu : we want our brasserie to be full of life and people”.